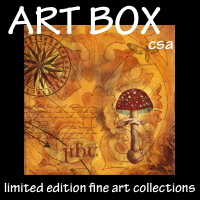 I am leaving for Atlanta tomorrow to do two workshops at Fiber On A Whim. In the meantime I have been working on a project for RIT dye. This will be for a segment they are doing on Quilting Arts TV taping at the end of August. This is a little teaser for you, I will tell you more about it later after I get back from Atlanta, but for now, look at all that color. Tony Limuaco and I met as students at what was then called the Otis Art Institute of Parsons School of Design in Los Angeles, back in the early 80's. (Sometime between then and now the two schools ended their affiliation) After graduation Tony went to NYC to make his way in the world. Thanks to the internet I was able to find Tony and reconnect by Googling his name. Tony was in New York on 9/11 and to deal with the trauma and stress resulting from that event, he took up knitting. 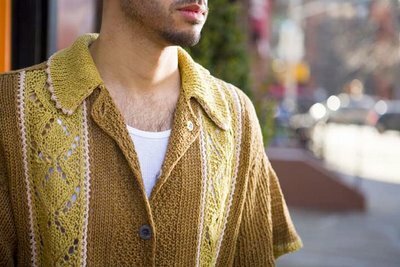 He got a knitting group going in a local bar, and has since become an amazing knitwear designer. I love those lace panels in that shirt. Tony has a great post with more photos and details about this shirt he designed based on the traditional tropical mens shirt his father always wore. Tony has had a few patterns published in Vogue knitting, I am so impressed! This beautiful lace shrug was in a recent issue with a focus on lace. He designed this shrug for a friend to wear with her wedding dress. 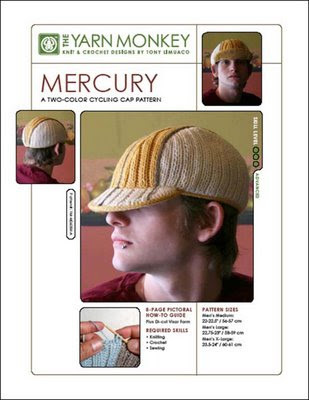 Tony has also designed a messenger cap, it is sooo cute and now you can buy his pattern for the Mercury Cycling Cap on Ravelry or with Paypal here. 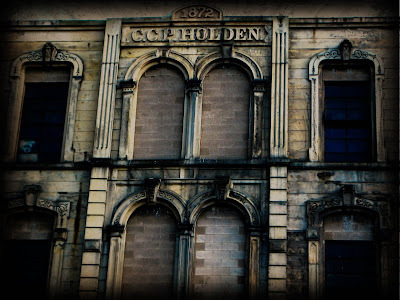 I wonder what this building has seen in the last 136 years. Chicago has some of the coolest buildings, this one is a block away from ours. It has had a sign on it that it would be renovated for as long as we have lived here. I am amazed at how many old buildings and factories sit empty in Chicago. I guess as industry has moved out of this country many of these buildings are no longer needed. This lovely buildings eventual fate will be another condo in the neighborhood. Who knows what will happen to all those empty brick factories and warehouses I see on the west side of Chicago. 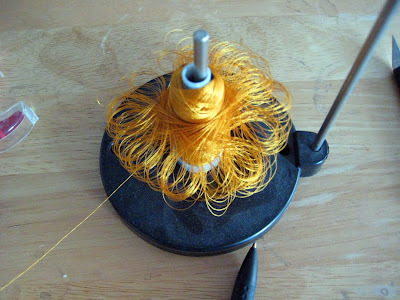 This is what happens when a chihuahua finds a spool of thread that has dropped on the floor. 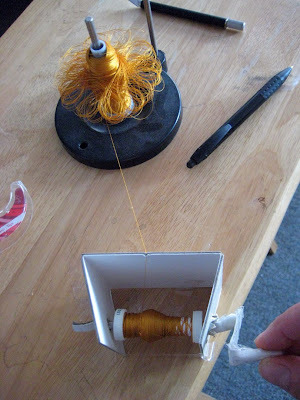 She tugs on the top of the spool creating a lovely flower effect, she never eats any thread just makes a mess of it. This is what happens when you have a son with the mind of an engineer. This has happened a few times before. I usually end up unwinding half the spool into the trash, because the thread no longer comes off the spool properly on the sewing machine. 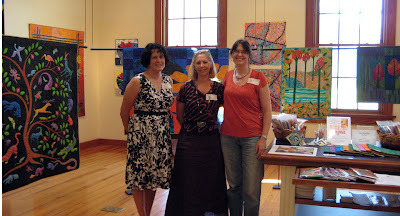 Here's Anne, Frieda and I before the reception started. Ann and Laura were off teaching and Emily had not yet arrived. 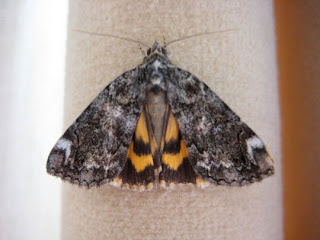 There was a very good turn out and I was too busy chatting to remember to take other photos. The Quilt National Exhibit is really good, one of the best collections of work I have seen in several years. If you are in Illinois, I would highly recommend getting over to Bloomingdale to see the show. 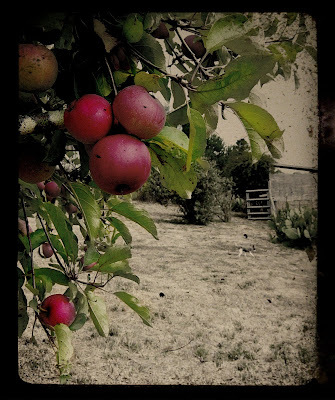 I took these photos at a friends home in California a couple years ago, they have a lovely property filled with fruit trees and vegetable gardens. 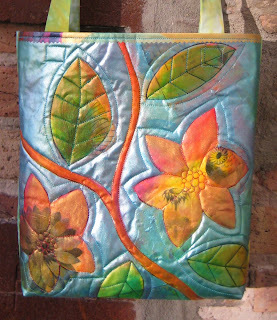 Sunday, I am off to the Chicago School of Fusing opening in Bloomingdale, IL. Recently I mentioned, I have a large quilt in progress in the quilting stage. Today my son went under the table to plug something in and called out to me that my quilt looked really cool with sunlight glowing through it and I should come and see. 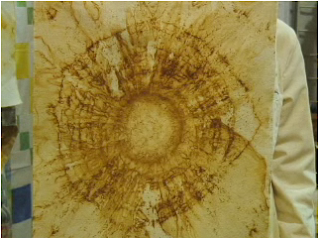 This is what it looked like. Must Have Cardigan. 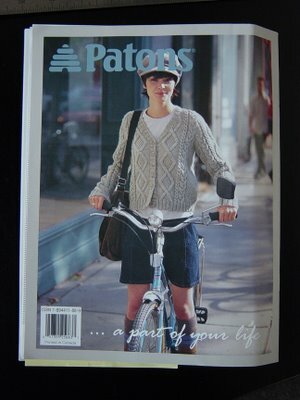 I made this sweater two years ago with Knitpicks Shine worsted cotton cream yarn. I made a size large thinking that would be the right size for me. Well, it came out lovely and BIG. It is such a classic sweater style. It was fun to knit, and the yarn is so soft. I want another sweater just like it, with a better fit. So I am going to knit another one in a smaller size in Shine worsted black. 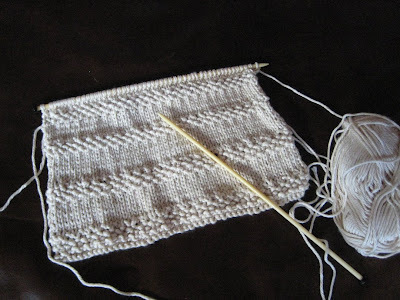 I always like to have some knitting project going. Knitting is my form of relaxation. In the mean time I am using the leftover cotton yarn from my first sweater to knit a couple washcloths until my new yarn arrives later in the week. 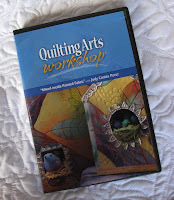 Quilting Arts has just released the next three DVD's in their new Workshop Series with Jamie Fingal, Ruth Rae and Rayna Gilman, go check them out. 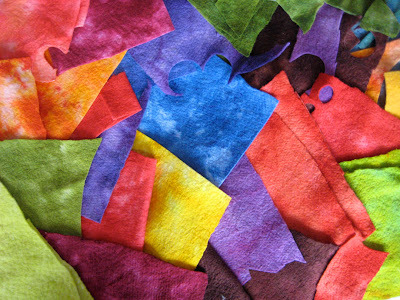 My workshop DVD on Mixed Media Painted Fabric is now back up on the website, too. On the left is my original uncropped photo. Once again I played with layers. 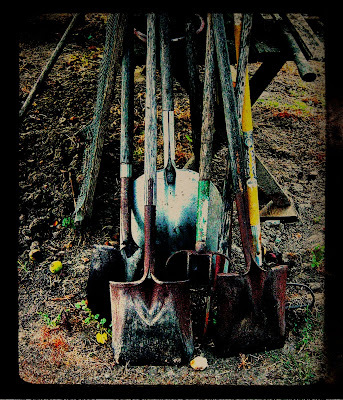 I had my original as the bottom layer and placed a duplicate image on top. I desaturated the top image (turned it black and white) and then colorized it green. 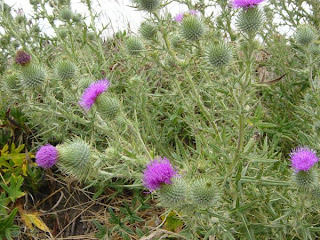 Using the eraser tool I erased the thistle flower from the top layer exposing the purple flowers from the layer below. 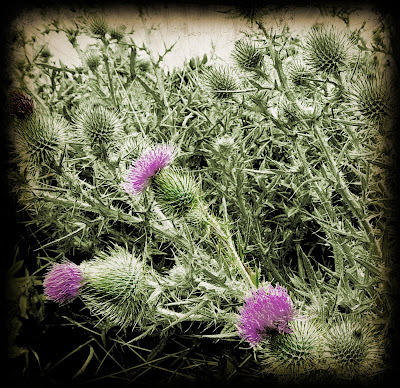 Then I added another image of a vintage photo lens that I tinted sepia and multiplied the layers. 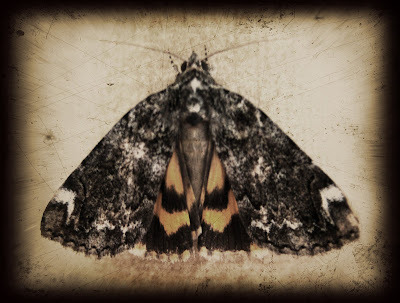 More photoshop play, with a photo I took of a moth that unknowingly came inside on my shirt. 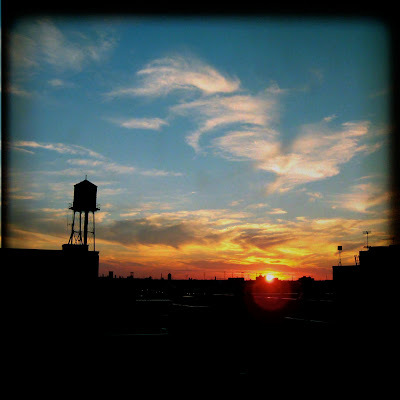 The photo on the right is the original, on the left is the photo that I manipulated the color and contrast. My daughter taught me how to create the effect on the top photo. The pattern called for knitting a front, back and three pieces for the top. 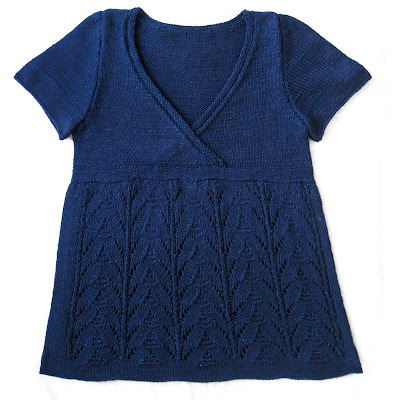 I knit this in the round in one piece only seaming the shoulders and setting in the sleeves. 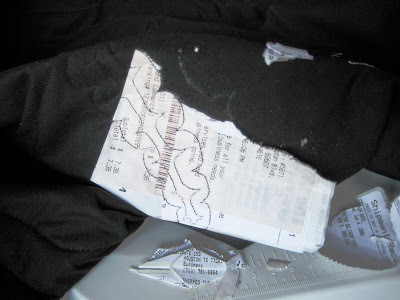 I hate sewing seams in sweaters, I don't do a very good job of it, so I try to figure ways around it when I can. I used size 6 needles for the lace section and knit an extra row of pattern to make it a little longer. I knit 3/4 of the top in size 6, then tried it on and found it was way too big. Sorry Deb, you aren't getting this one! I guess when I knit with cotton I tend to knit looser and so my gauge gets out of whack. I needed the top to be about 4 inches smaller around so I ripped down to the top of the lace section. I reknit the band on size 2 needles and I knit the top on size 4 needles. I knit the sleeves on 4’s but they were too small. So I knit two more sleeves on size 5 needles. The overall fit is good. I could have used another inch in length to the top portion but it looks ok. 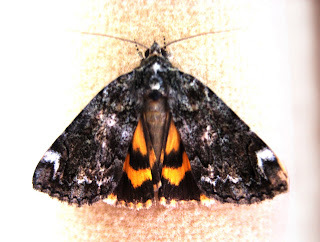 It may have shrunk a little in the washing, it said to estimate 10-15% in length. The blue dye from this yarn rubs off a lot on your hands when knitting because it is heavily dyed on the outside with a white core, the way denim is dyed.. After the sweater was finished I washed it on delicate with two rinses using synthrapol to help get as much loose dye out as possible. The color of the yarn did not change that much but it did start to get a little of the speckling and irregularity of color that one sees in denim. I look forward to seeing it age, like a good pair of dark jeans. I wish I could catch in a photo what we see from our balcony. In the distance we see all the fireworks displays from every suburb, so the horizon is filled with fireworks, one right next to another. I can't even count how many there are. Unfortunately the closest ones are blocked from our view by the Harpo studios building. 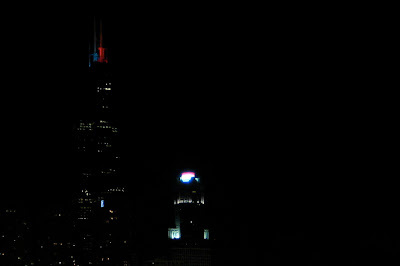 All the buildings in Chicago color their lights for every holiday. Today they are all red, white and blue. I hope you had a Happy 4th of July! 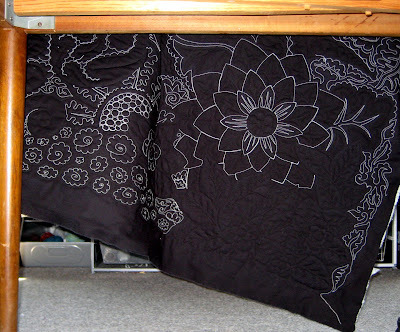 This is what happens when you quilt a big quilt and your table has too much stuff on it. Argh! Bonnie McCaffery has put together another great Vidcast with fellow PAQA member Lois Jarvis from Wisconsin. 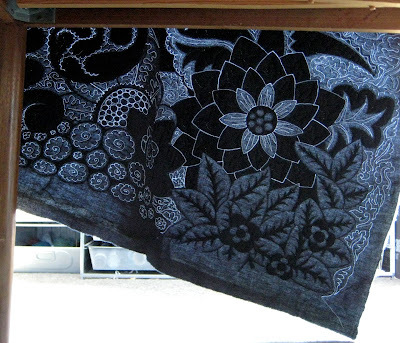 In this interview Lois describes how she creates her beautiful fabric with rusty objects.